Happy Summer! Time for resting, beach time, family, and SLP life. Yep, being an SLP never ends. That doesn't mean it has to consume us. Here are 3 tips to help you through the summer. The end of the school year is crazy! We've been cramming in meetings, staying up late to write reports, and getting all the service time in. Take some time to enjoy life without an alarm clock, a night where you're not wondering what the next day's therapy will bring, and all the bathroom breaks you want! Don't feel guilty about having some time to recharge. 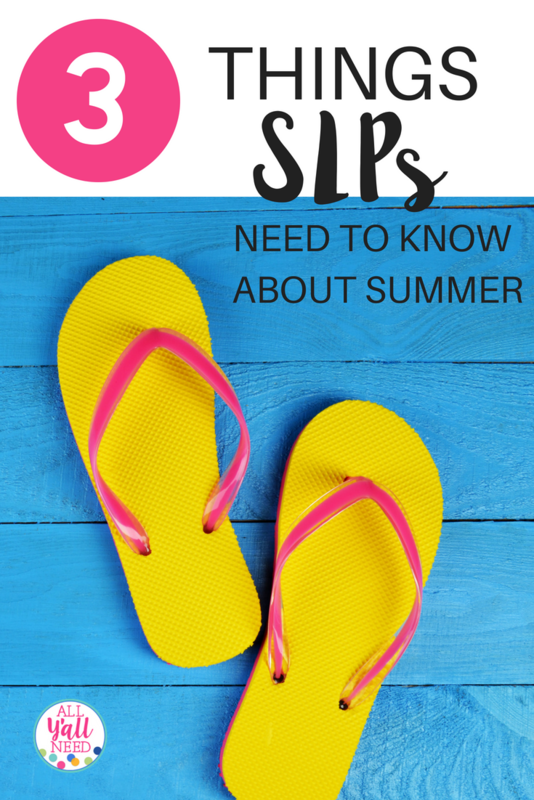 The summer is a factor in choosing to work in the schools in the first place. There are many days that you are making more withdrawals in your personal bank account than deposits. Feel free to make a few deposits. Speaking of freedom, here's a big one - there is no such thing as balance. Searching for balance is an impossible task. You'll never be able to even out family and work. Summer break is not going to balance out all of the work we do during the school year. If we try to do that, we are going to be exhausted. That's not to say there aren't priorities and responsibilities. I still have the responsibilities to take care of chores and bills. I still have priorities during the day. But balance? Counting time and making sure everything is even is for the birds. It's a myth. Once I stopped searching for the elusive balance and focused on responsibilities and priorities, a burden was lifted. 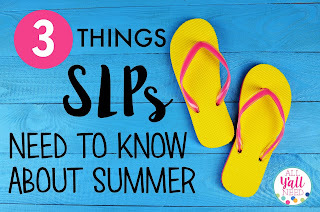 We keep learning during the summer. 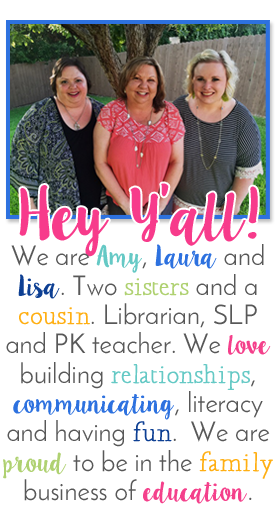 Whether it's CEUs, reading about best practices, or working with our own children, we are still SLPs. And vacation? My family has simultaneously told me to leave my "SLP mind" at home while asking about nearby children they are concerned about. That situation even led me to this blog post of princess names. If you're getting together with family and friends, be prepared to have an observation ready to go when someone asks you, "Do you think my child needs speech therapy?" It's just something about our field. I don't offer my opinions unless asked. I'm happy to discuss concerns and questions as they come up. I've taken CEUs during some summers and totally taken off other summers. It depends on what the topics are, the dates (I won't change vacation dates for CEUs), and how many hours I need. 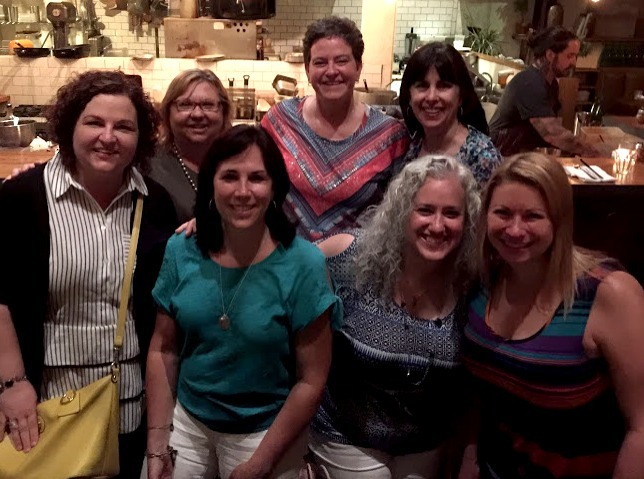 Last summer, I got in hours during the ASHA Connect conference with friends - it was a wonderful combination of relationships and CEUs! From left to right: Mia from Putting Words in Your Mouth, me, Pam from Chit Chat and Small Talk, Mary from Old School Speech, Annie from Doyle Speech Works, Tracy from GoldCountrySLP, and Carly. This summer, I don't have any CEUs scheduled. I'll have to be more aware of getting in my hours during the school year. Fortunately, TSHA offers great sessions! Rest, prioritize instead of balancing, and keep up your skills. Here's to a wonderful summer!